OPV® Systems has more than 4,000 affiliated brands and more than 16,000 connected end-users, such as advertising agencies, daily evening newspapers, publishing houses, stores, chains, industry associations, etc. OPV® System is recipient of Trade item information via the global network GDSN®. With our partnership with the world’s largest GDSN® Data Pool, 1Worldsync, OPV can both receive and distribute quality assured pictures and article information via the GDSN network or via our OPV® Online Web service. OPV quality assures all images according to GS1® Product Image Specification. This quality assurance is a global standard in GS1®, making the images stored in our systems approved by all global recipients. OPV® Online automatically offers to all of our customers M2M distribution of images and trade item information to Omni Channels via our Web service. Using OPV® Online, you can ensure your product range in a single system, which always automatically distributes this to E-commerce systems, Smartphone applications, Industry associations, etc. OPV® Online is so much more than a system that can store product images linked to an active GTIN in the Grocery or Pharmacy industry. OPV® Online is current available for Grocery / Pharmacy industry, Construction sector and the Computer / Electronics sector. OPV Online is a complete Digital Asset Management system that can handle all kinds of media files or document files, and of course with an object oriented database that’s not locked to any Industry standard, such as GDSN®. This means that our system can figure in all worlds, both verified according to GDSN standards including (EU) 1169/2011 and a completely independent DAM system and where you, the client, customize your company’s own systems. OPV® Online is a cloud-based system with both PIM & DAM functionality, to solve your organisation’s entire requirements. Feel free to test our OPV Online with the address www.mediabanken.se. In the demo version you’ll have access to all affiliated brands, however, you can not download images. OPV® Online has been updated to V.4.7.5. Please download and read about new features. OPV® Online fully support the Regulation (EU) 1169/2011. Read more about (EU) 1169/2011. 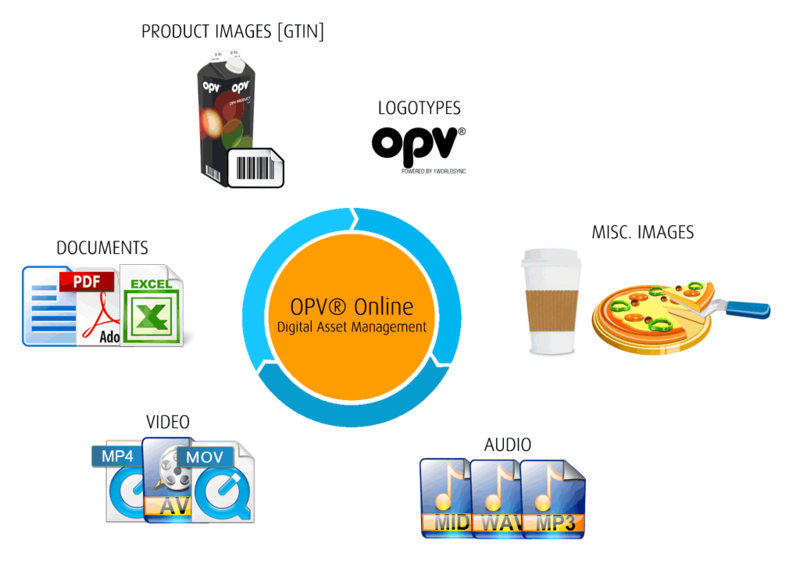 Contact us at OPV Media Systems AB, we will tell you more about our Digital Asset Management system.